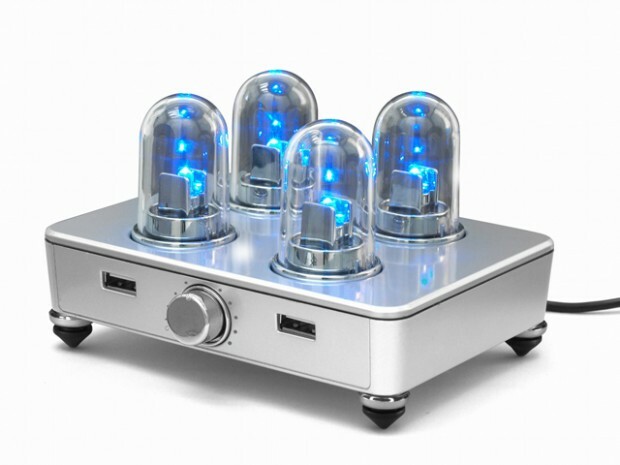 Tube or valve amplifiers are electronic amplifiers that make use of vacuum tubes to boost the power of a signal. They’ve been around for decades, and some audio freaks still love the sound they help to produce. And they look kind of pretty, too. Reason enough for Hanwha Japan to come up with the US-0498 [JP], a PC speaker that looks like a tube amplifier (but isn’t one). Connect the simple 38mm speaker to your Windows PC (Windows XP/Vista/7) via USB 2.0 and you’ll get 0.35W×2ch sound with 45db max. It needs two USB ports. The four tubes will start lighting up in blue when the music goes on. 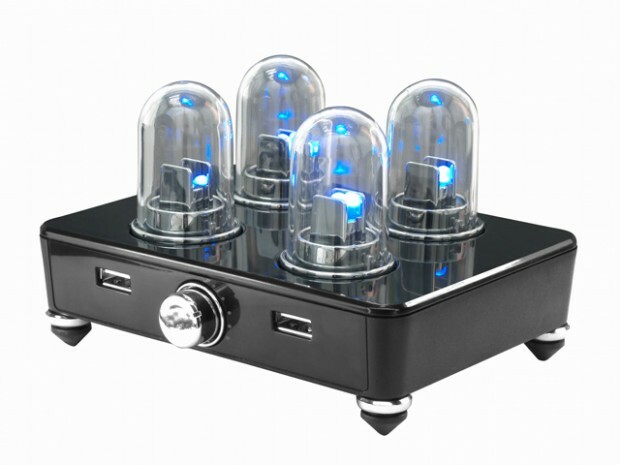 Sized at 125x 98x 80mm (weight: 220g), the speaker is available in black or silver and costs $25. It’s Japan-only, so you might want to contact import/export specialists Japan Trend Shop, Geek Stuff 4 U or Rinkya if you’re interested in getting one.